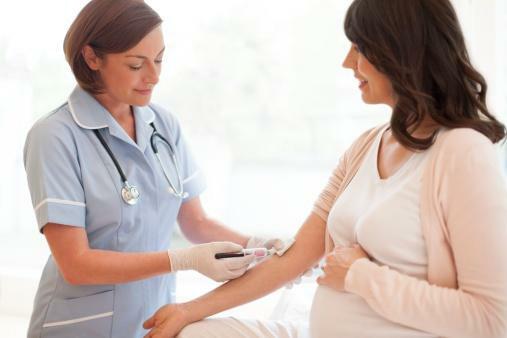 If you are newly pregnant or thinking of conceiving, expect to have a planned schedule of prenatal visits and lab tests during your prenatal care. Make sure you keep all your appointments and follow your OB provider's coordinated care plan until your baby is born. Close medical attention during your pregnancy improves the chance you and your baby will have the best possible outcome. OB specialists follow practice guidelines for comprehensive prenatal care recommended by healthcare groups. The initial prenatal intake visit sets the stage for a series of doctor's or midwife's mother and baby assessments, prenatal testing, and opportunities for you to learn and ask questions. How Much Does Medicaid Cover for Pregnancy? Have a good initial assessment of your current overall health and pregnancy status, and any potential risks for you and your baby including the effect of your age. Your OB provider might see you more often if you have a problem or a high risk pregnancy. After the initial prenatal screening lab tests at your first visit, your OB provider will order a series of other tests that are recommended at certain points in your pregnancy. He will also order any others based the individual needs of you or your baby. OB ultrasound: This is not a routine part prenatal care but is usually done to date a pregnancy if needed, or to evaluate a pregnancy problem. In general, most women will have an ultrasound at 18 to 20 weeks to check for normal fetal growth and development. This ultrasound might be able to show if your baby is a boy or a girl. Some tests are suggested because of your medical and family history, your age, your partner's history, and other risk factors, or based on problems that come up during the pregnancy. Around 37 to 38 weeks, your provider might start to check your cervix for effacement and dilation. As you approach your due date, start thinking about what to pack for labor and delivery. Each visit is an opportunity to ask questions and feel comfortable. Talk with your doctor, midwife, or support medical staff about anything that concerns you and ask any questions you have. The more you learn and understand, the easier and less stressful your journey through your pregnancy will be. Equip yourself to be more prepared to manage in an emergency, such as heavy vaginal bleeding or premature contractions. Ask your friends and family for recommendations so you can choose an OB-Gyn doctor or midwife you can be comfortable with. Get a complete medical check-up including a Gyn exam and a dental exam and dental care. Talk to your doctor to help you assess and attend to any factors you and your partner have that might put your baby at risk, including prescription and over-the-counter medicines, smoking, drinking, drugs, and genetic problems. Get help to quit smoking, drinking, and misuse or abuse of drugs. Eat a healthy diet and improve any other unhealthy lifestyle habits. Start taking a multivitamin and don't forget to take folic acid to protect your baby from neural tube defects. Start making sure your immunizations are up to date at least three months before getting pregnant. Consistent, regular prenatal care is important for a healthy pregnancy. 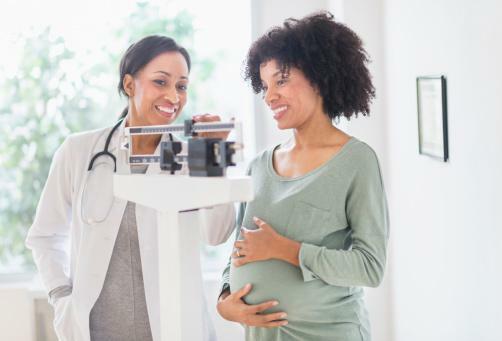 Keep up with your scheduled prenatal visits and tests to decrease the risk of complications such as premature birth other poor outcomes for you or your baby.